Tess Taylor is the Founder of HR Knows, a corporate content, consulting, and career coaching firm in New York and the Founder and Managing Editor of The HR Writer, a popular blog in the Human Resources and Recruitment scene. She has worked in human capital management for nearly 2 decades, having spent many of those years working in the corporate sector for the Benefits Technology, Professional Development, Environmental, Health care, and Manufacturing industries. 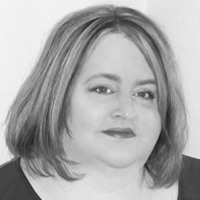 Her work is regularly featured at About.com - Employee Benefits, ADP Thrive, PayScale’s Compensation Today, HR Gazette, HR Magazine, Social Hire, and US News Careers. Consistently voted by peers as a ‘Top 100 HR Experts to Follow on Twitter’, Tess continues to share insightful conversations that engage and educate people about important issues that affect the workplace. You can follow Tess on Twitter and LinkedIn. Are 'brain games' the answer to reducing recruiting bias? Do employees' experiences with virtual reality training match their actual jobs? Does your learning program offer rewards? Should it? Could tomorrow's leaders be coached by robots? Does the infamous Google memo reveal problems in the company's training? You can automate candidate reference checks, but should you? Does your training mesh with your company culture? Can recruitment technology keep pace with the gig economy? Do companies screen candidates based on poor criteria? Is empathy training the next evolution of corporate professional development? Do people move for jobs or do jobs move to meet people? Will AI remove the human experience of 'learning by doing'? Employee training or student loan payoff? Why do 28% of employees quit in their first 90 days? Poor onboarding practices. Can Facebook's new job posting feature compete with other recruitment services? Are drug tests making skill gaps worse? What happens after the federal hiring freeze? Is agile learning development the answer to growing skill shortages? In 10 years, how much of a recruiter's job could be automated? Are apprenticeships the solution to shortages in the health market? What are the traits of a top IT recruiter? Is formal workplace training becoming less relevant? The rise of recruiting robots: Will they make the process smoother? After year of acquisitions, what does 2017 hold for job boards? Should your company compete with Silicon Valley salaries? Are organizations doing enough to measure the success of L&D programs? Are job seekers tired of automated job boards? What makes learning management systems effective for corporate learning? Has MOOC mania reached its limits? Is LinkedIn getting too personal? Is there a way to eliminate recruitment bias? Could more H-1B visa workers be the solution to the STEM shortage? Does HR technology and social media impede hiring? Has the self-paced e-learning market reached its summit? Is your corporate training based in reality? The 70:20:10 rule of learning design: Is it built to last? Who is responsible for the current workforce skill gaps? Can a machine predict recruitment success? Women are still earning less in blue collar jobs. Is training to blame? Video interviews: Less human or more personal? Does Silicon Valley remain the best place for tech jobs? How much is formal training worth to your organization? Microsoft is buying LinkedIn — what does this mean for social recruitment? Is video interviewing the secret to improving the candidate experience? Can e-learning influence employee engagement levels? Examining the crux of the talent shortage: Real or not real?